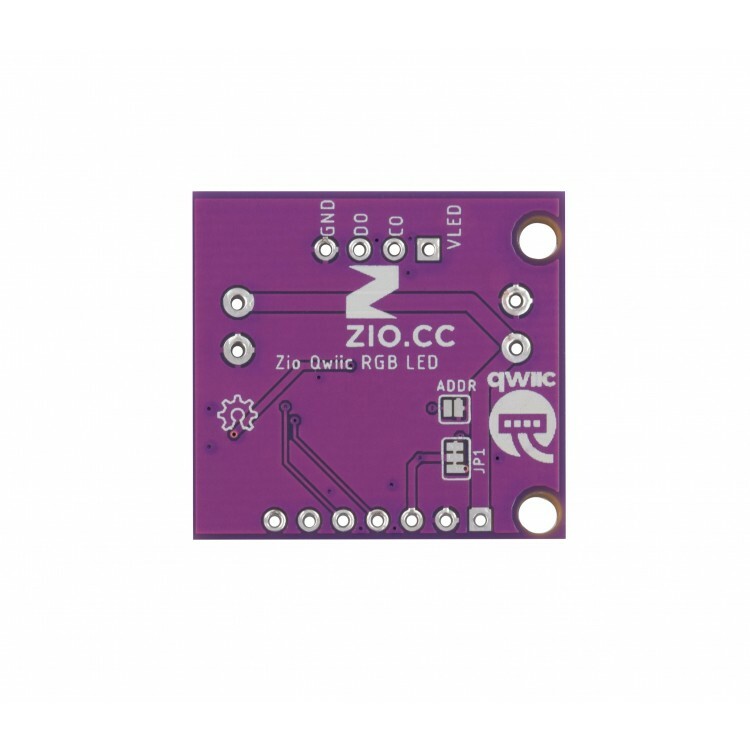 This is a ZIO Qwiic board featuring the incredibly bright and colorful APA102 (5mm x 5mm), SMD addressable RGB LED. 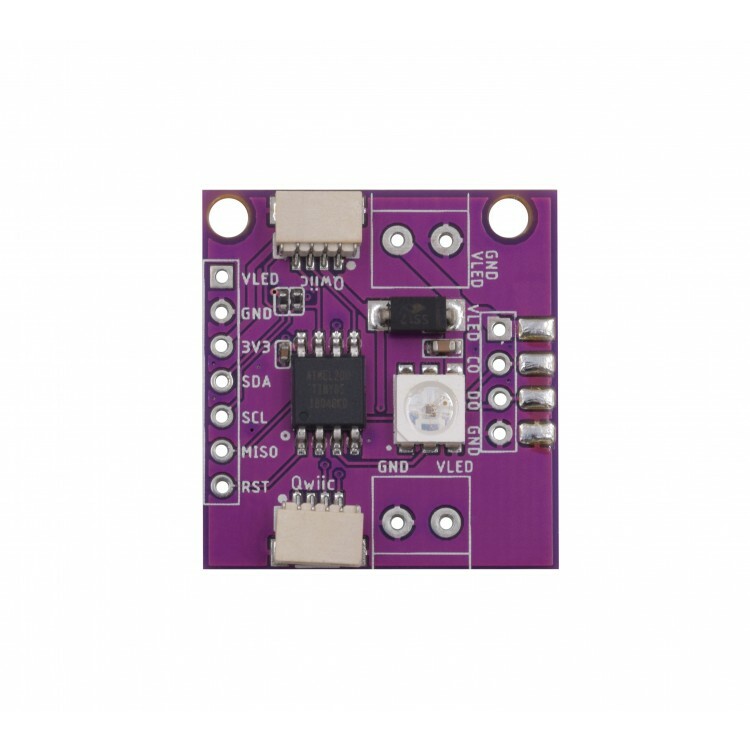 The board can be also used as a driver board to control multiple APA102 LEDs , simply connect more APA102 as you want (max. to 100 LEDs), chain them together to the Zio Qwiic RGB LED board. 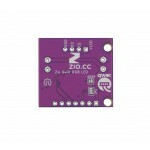 We created the board that makes 5050 SMD LED much more accessible and works on I2C interface. Isn’t it awesome? The APA102-5050 LED with an integrated control circuit embedded can set the RGB color on a constant current output value and 5-bit (32 level) brightness setting. Pretty challenging to incorporate an IC on an LED right? If you take a glance inside, you can even see the minuscul gold microcontroller and the golden connections to the LED. 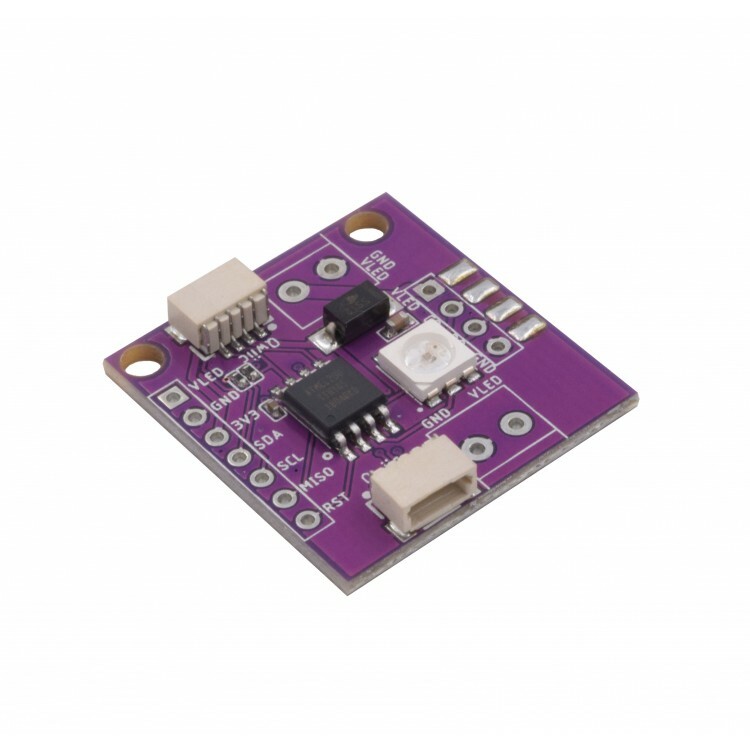 The command to operate the LED is sent to the ATtiny85-20SU that controls the RGB LED. 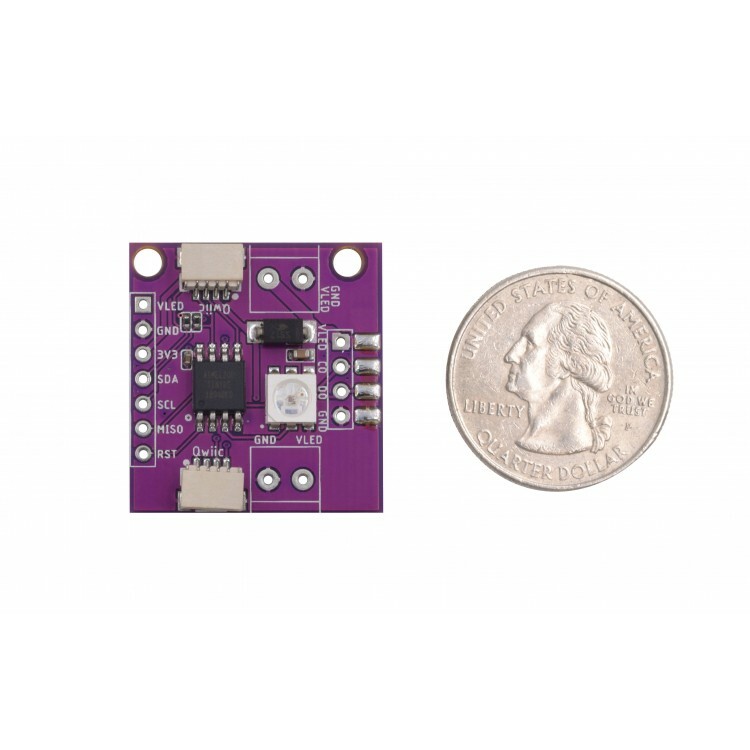 We also provided the pinout to be able to deal with the LED data and the ATtiny85-20SU!